Visit Magpie Meander and you'll discover a wooded area with a small stream and pond. Its location adjacent to Soft Gold Park makes Magpie Meander ideal for a family picnic and easy nature exploration. There is an accessible fishing pier too. 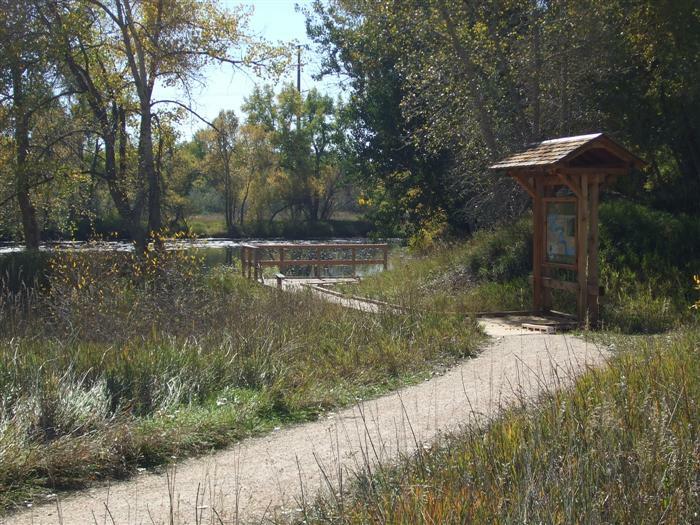 A natural surface trail connects to McMurry Natural Area and the Poudre Trail. 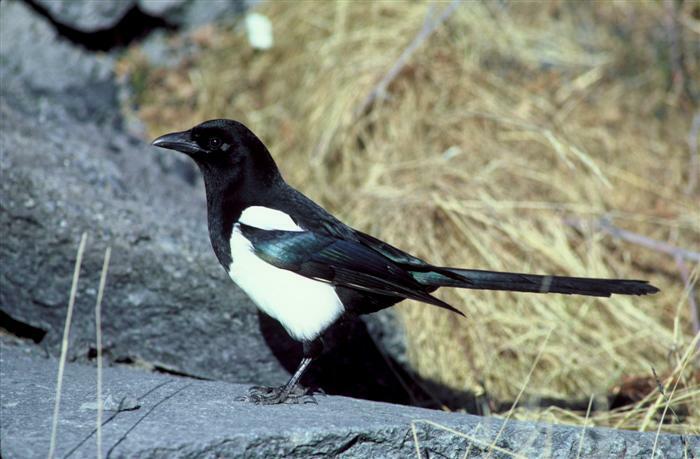 When you visit Magpie Meander look for its namesake the magpie, as well as great blue herons, red-tailed hawks, and downy woodpeckers. You might also see rabbits, squirrels, foxes, and mule deer, as well as painted turtles and plains garter snakes. What a lively place! 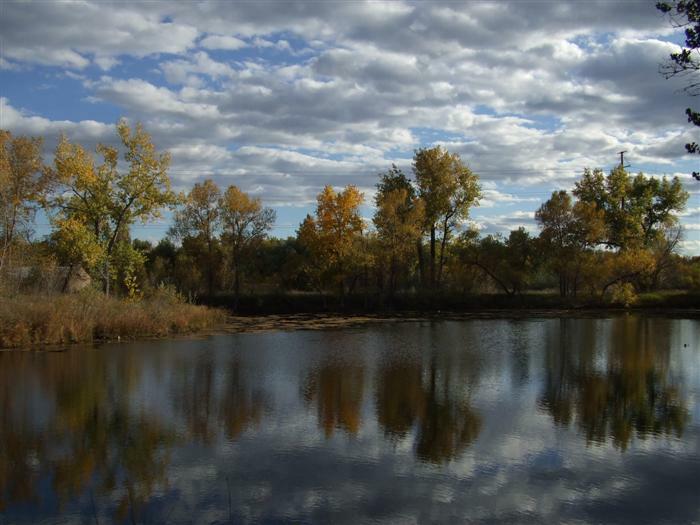 Park at Soft Gold Park (520 Hickory Street), or there is trail access from McMurry Natural Area and the Poudre Trail. Free educational programs at Magpie Natural Area are available for groups by request, call the Master Naturalist Program at 970-224-6118 or email YWNobGVibmlrQGZjZ292LmNvbQ== . This site has been adopted by Jenny Fish, thank you for your litter pick-up efforts!